When you travel to France and visit Chartres, yes, go to the Cathedral - it is truly magnificent. ...visit St. Aignan Church. It is tucked away in a small street and is easy to miss. In fact, I am sure most people do not even know it exists. 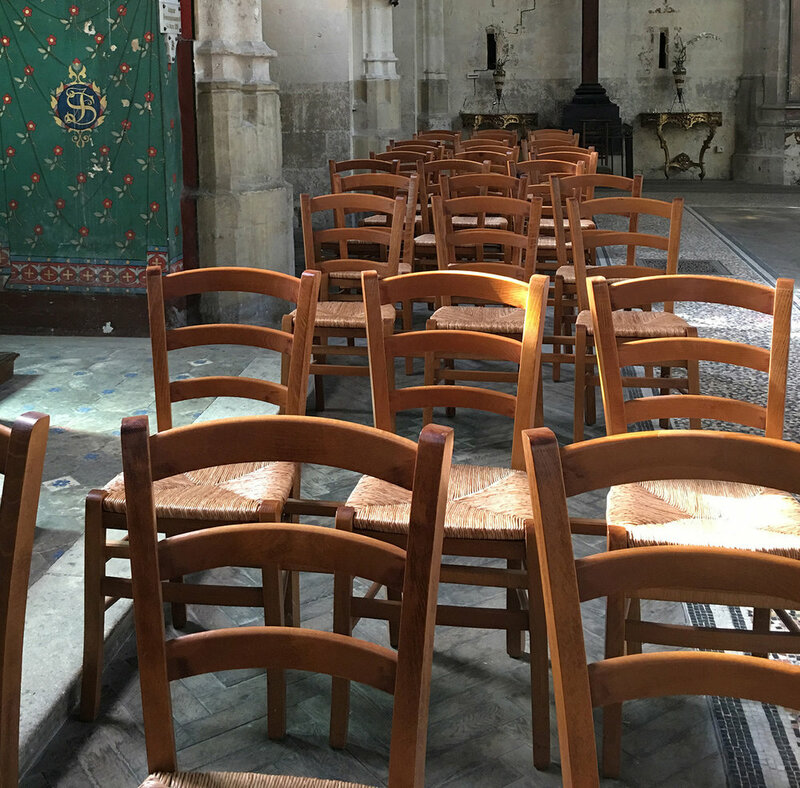 This most ancient parish of Chartres is a true architectural gem, and a tactile connection to the past. It is a visual artist's true point of inspiration. Once you arrive, you will most likely be alone in the light-filled structure, standing in this magnificent space by yourself; free to wander and inspect and marvel with an uninterrupted view of the space, light, and the exquisite details all around. I tend not to offer travel advice because I feel new places are best discovered on one's own for a memorable adventure, but this experience so inspired me I just knew I had to share the beauty of the space.